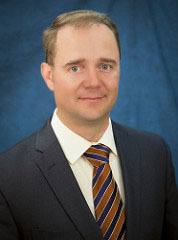 Mr. Lark was appointed President of Great Southwestern in May 2014 and is responsible for devising and leading the overall growth and operational strategies of Great Southwestern. Mr. Lark joined the Company in 2000 as a Substation Superintendent and has assumed roles of increasing responsibility throughout his tenure including Project Manager, Project Developer, Senior Project Manager, and most recently, Vice President. Mr. Lark brings a solid combination of field and project management expertise when working alongside project managers and operations management to ensure all aspects of successful on-time, under-budget project execution, and has extensive experience in transmission, substation and wind farm electrical construction on projects throughout the west and southwest. Mr. Lark has both a Bachelor of Science and Master of Business Administration (MBA) in Project Management. He is also a certified Project Management Specialist.